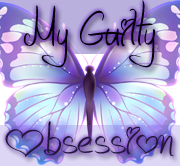 ~~My Guilty Obsession~~: Take Control of Your TBR Pile Challenge Update! Take Control of Your TBR Pile Challenge Update! The month is almost up and for those of you that don't know I have been participating in the Take Control of Your TBR Pile Challenge hosted by Kim at Caffeinated Book Reviews. This is a month long challenge that is all about your TBR pile. Those books, series and authors you have been putting on hold and neglecting. As some of you may know I had originally made a post about what I was hoping to read over the next few weeks, you can find the post HERE. I am happy to say I have done very well with my challenge so far and have even been able to read more than I thought I would , even if I did change up some of the ones I wanted to read for others instead. So what exactly have I read? Believe it or not, all three in the Sweet Trilogy by Wendy Higgins. Sadly not all of my reviews have been posted for these since I try to plan my blog a few weeks out each month but eventually they will all be posted here sometime during the rest of March and parts of April so be on the look out for them. Next up, all the Charley Davidson series by Darynda Jones. I freaking LOVE this series. So darn funny and lovable. 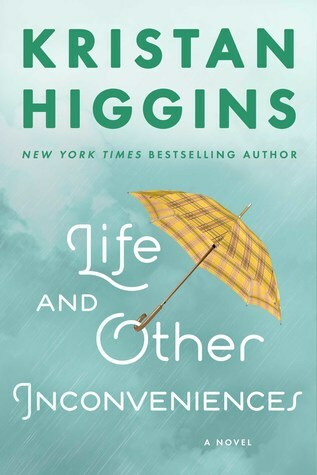 I had previously read the first book so I read books two through five. I am dying to get my hands on book six. Thankfully it comes out soon. I did read The Book Thief too which was originally on my list of books I wanted to read but I actually got to it before the challenge started so I'm not really counting this one in my numbers. So yeah, not a bad start at all and I still have over a week left to get some more books read, plus I had to sneak in a few review books along the way so all in all not too shabby. I still want to finish off the Heven and Hell series by Cambria Herbert and try the Shatter Me Series by Tahereh Mafi so we will see what I end up being able to accomplish over the next week or so. And I have to admit, reading all these books that I have been dying to read for so long, really makes me want to extend this a month longer and dig in and really make a dent out of my TBR pile. I love ARCs, I really do but you know what? I love all these series I'm finally making time for and I am starting to see what what I have been missing out on by reading so many ARCs, doing so many blog tours and taking on so many author requests. Don't get me wrong, I won't be stopping any of these things for good (they are too hard to resist, darn that request button!) but I just might slow down on them and really remember why I started this blog in the first place, to share all those great books I have discovered and hopefully to encourage others to pick them up as well. To really remember why I read in the first place. It's nice not always having deadline for when something has to be read, reviewed and posted. It is nice just reading for enjoyment again (even though I do enjoy most books I am given or have requested), but there is just something so simple and pure about reading something simply because I can and want to,not because I committed to it. Yes! can't wait for book three!! Definitely read it!! I know! So surprised by the Elemental Series, I need to read book two now. Gads you are rocking this challenge Ali, and I love Charley Davidson. So excited you are getting caught up!! It rally is a fabulous series. So glad I finally made time for it. I have not done well at all! I was really hoping I could squeeze some in but with the potential tour clients I'm constantly squeezing those in to see if I'll take them on. Maybe this week I can manage to read a few. I know I really need to! Congrats on doing so well! I hope you can Candace! It isn't always easy but it is worth it! Great job on getting through so many books this month! Didn't you just LOVE Fifth Grave? Did you read the short stories that come after it? I need six now! Ever since cutting way back on ARCs, promo posts, etc, I have been enjoying reading so many TBR books that I've been missing out on. Yes!! Those were....yeah, so smokin'! You are awesome, that is so good. I love getting so much read. I don't get that very much anymore. Good Job! Take Control Of Your TBR Pile Challenge Wrap Up!